The chicken wings and fries meal was delicious and filling. 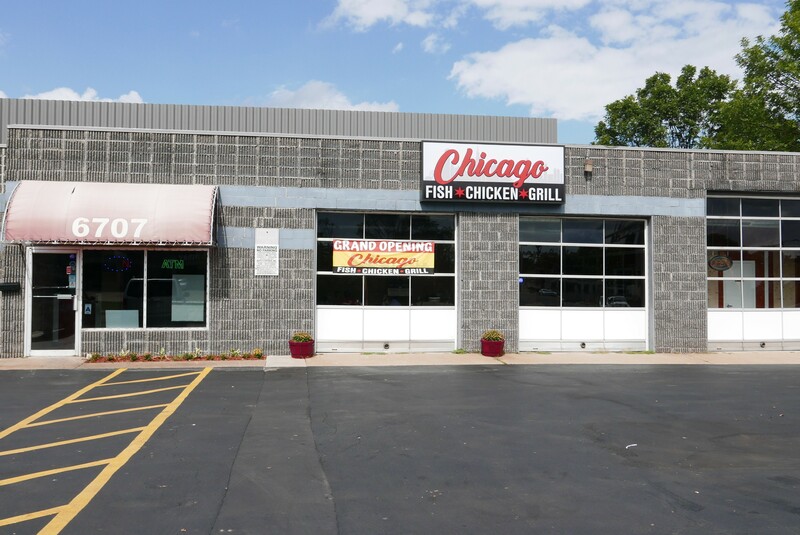 If you’re searching for a quick bite just off the Delmar Loop, look no further than the newly opened Chicago Fish Chicken Grill (6707 Vernon Avenue, University City; 314-224-5004). The casual spot opened two weeks ago in the small standalone building near Olive and Kingsland that previously held Vernon’s BBQ. 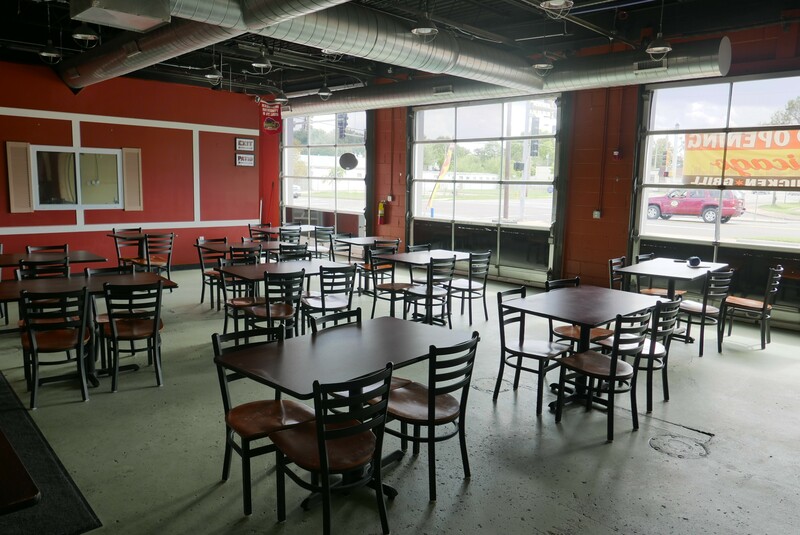 The inside hasn't changed with its new owners: The same garage-door walls give the feeling that you really are inside a building where cars once had their hoods popped open, while a few Vernon's BBQ signs still hang on the walls. Owner Eyad Afaneh says he's opening the place slowly, and changes will continue to be made over the coming months. Afaneh has other locations of the same concept (one opened a few months ago on Gravois in what was previously the Tasty Shack). The interior is spacious and bright. Most of the walls are painted burnt orange, with plenty of light seeping in through the big glass doors fronting the parking lot. Guests order at the counter. There is plenty of seating available inside, but we also witnessed several guests leaving with takeout orders during our visit. Catering services for parties or larger gatherings are also available. You can get a sense of the place just by looking at the menu; the one plastered behind the counter is big, really big. There are chicken wing options, full chicken options, fish dinners, steak and chicken dinners, rice plates, salads, cheeseburgers, gyros, Philly cheese steaks and more. Everything is reasonably priced; a steak dinner is $10, and a quarter-pound cheeseburger is less than $5. Workers report that some of the more popular items on the menu are the Philly sandwich and the T-bone steak, a pretty big difference in fan favorites. When we spoke with Afaneh, he had just finished eating his own plate of wings. 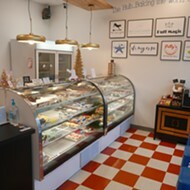 The large menu sits behind the front counter with plenty of options. We ordered the chicken wings and fries meal and it came out in a little under fifteen minutes. The fries were crisped up nicely and covered in a spice mixture that was salty, with almost a touch of heat. The wings came out with leg and thigh attached and were fried to a golden brown. 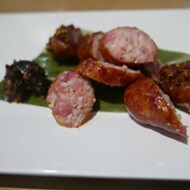 They were sprinkled with the same spice topping, which added a nice extra touch of flavor. The chicken was tender and there were plenty of crunchy breading bites on every wing. It was advertised as three wings, but it's really like six, as you get the wingettes and tips in addition to the usual drumette. There is no alcohol, so you'll have to eat your wings sans beer. 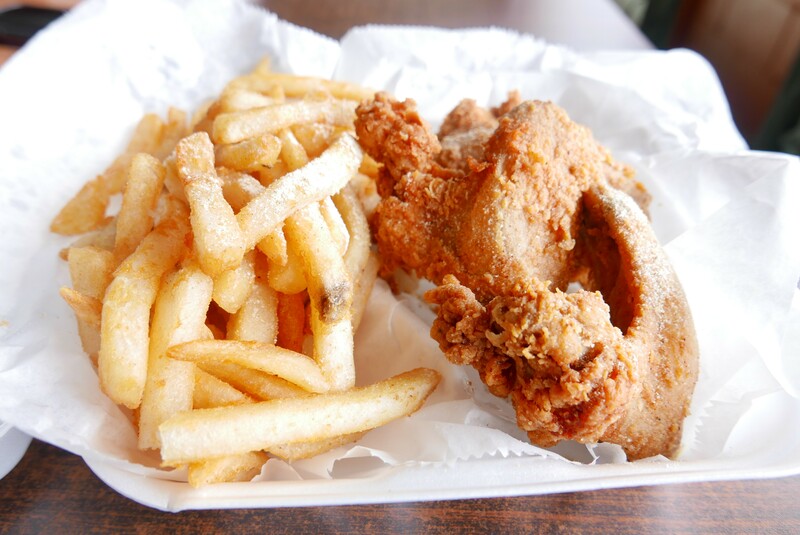 At this point, Chicago Fish Chicken Grill is open Monday through Thursday, 10 a.m. to 11 p.m., Friday and Saturday 10 a.m. to midnight, and Sunday 11 a.m. to 10 p.m. The exterior of the restaurant is hard to miss with the large garage doors.